The Selma Interpretive Center, at the foot of the Edmond Pettus Bridge, is part of the Selma to Montgomery National Historic Trail established by Congress to commemorate the 1965 Voting Rights March. Selma, Alabama, (population 20,512), was incorporated in 1820 by William Rufus King through a land grant from President James Monroe. Selma flourished as an agricultural, cotton-producing community in the early 1800s. In 1865, Selma played a major role in the Civil War as a supplier of war munitions for the Confederate Army. The Selma Ordnance Center included the CSA Arsenal, the Naval Foundry, the Naval Shipyard, railroad shops, government and private machine shops, and other foundries. Because of Selma’s contribution to the Confederate Army’s military power, it became a major target of the Union Army and was eventually set afire. One hundred years later, Selma received national attention as the site of major voting rights confrontations that led to the Selma-to-Montgomery March and the passage of the Voting Rights Act of 1965. Today, the town commemorates the march each year with re-enactments, lectures, tours, and many other activities. 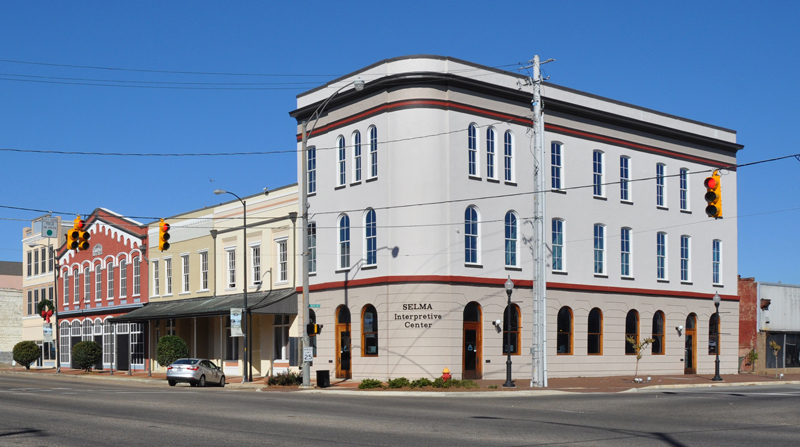 Selma has a vast historic district that includes several buildings that survived the great fire of 1865. Its three museums include the Old Depot Museum, which is housed in a converted 1891 L&N railroad station; the Vaughn Smitherman Museum, an 1847 structure that holds Civil War memorabilia; and the National Voting Rights Museum in historic downtown Selma. The city publishes a guide to 16 historic churches built from the mid-1800s to 1925. Each year Selma hosts a four-day re-enactment of the Battle of Selma, when participants and observers experience not only the battle, but also period balls, music, and mercantile activities.